Bucket elevators represent one of the most popular handling devices for elevating materials in use today. With the original style of elevator boot, it is becoming difficult to meet the demands to improve hygiene and reduce risks of cross-contamination. However the GAME Self-Clean Elevator Boot design overcomes these traditional shortcomings in a very compact and cost-effective way. This well established and proven design features a two-piece telescopic arrangement with seals and is manufactured as a direct upgrade replacement for most proprietary elevator boots in use. Belt tensioning on the GAME Self-Clean Elevator Boot is automatic using pre-set pneumatic cylinder pressure. The belt alignment and bucket-to-base clearance are manually set to suit individual production requirements. A standard flexible rubber wiper arrangement cleans the inside of the elevator boot, including the buckets. An optional compressed air purge is available to remove any remaining material. General boot maintenance and belt tensioning are virtually eliminated. The Main Frame: consisting of a sturdy hollow section frame to support the elevator legging above and for the self adjusting boot to move within. This section also anchors the pneumatic cylinders operating the pre-set tensioning for the self adjusting boot section. The Boot Section: houses the bottom pulley, this section is used to track and adjust the elevator buckets to their optimum position. It is sealed to the main frame with rubber seals clamped along the top flange and is guided by precision rollers. The unit is tensioned by two pneumatic cylinders mounted on either side of the main frame and attached to the boot section. Manufactured: in either stainless steel or mild steel with a galvanised or painted finish. Fabricated framework and casing, together with steel drum and flange mounted bearings complete with compressed air cylinders to maintain belt tensioning. Flexible Wiper Blade: standard flexible rubber wiper blade arrangement ‘cleans’ the self clean elevator boot and bucket continually. Two Piece Telescopic Design: tailor made to suit existing inlet & legging details on your elevator, so no additional legging or chutes are necessary. Available in mild steel with a galvanised or painted finish and stainless steel. 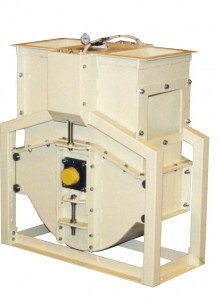 Optional air purge removes remaining material residues. The bucket to base clearance is pre-set manually. Automatic belt tensioning to a pre-set tension eliminates over-tensioning of the belt. Constant bucket-to-radius plate clearance for minimal material residue. Can be retrofitted to most proprietary elevator boots in current use. Cost effective upgrade avoids the need to replace the complete elevator. Ideal for handling meals, cereals, pellets, extruded products, fertilizers, chemicals, minerals, seeds and many other products in common use today.